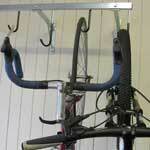 Heavy Duty Vertical Cycle Racks For Up To 6 Cycles. The Heavy Duty Vertical Cycle Racks are designed to offer a wall hanging storage for bicycles where space is at a premium. 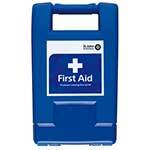 Ideal for apartments, flats or warehouses where you want to store multiple cycles off the ground. 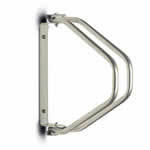 The product comes supplied with mounting brackets and all fixings required to get you started. 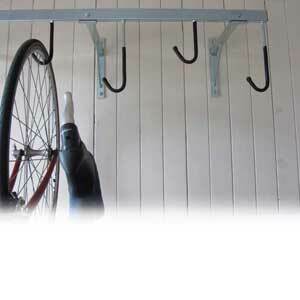 The hanging hooks have a PVC coating applied to protect the wheels and avoid scratching. The Heavy Duty Vertical Cycle Rack is available in three different sizes allowing storage up to 6 bikes at a time with the hanging hooks positioned in alternate heights so that handlebars do not touch and avoids unnecessary clashing of each bike stored. These bike racks are supplied with a zinc and clear coated finish to avoid corrosion making it ideal for any damp spaces such as warehouses and garages. BWT6VER - Exactly what I needed to store my bikes. 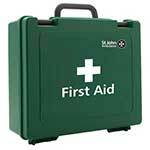 Simple and does the job. 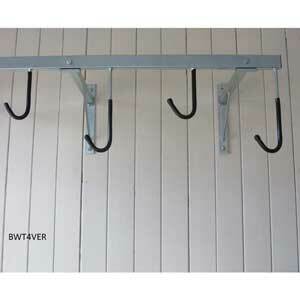 BWT6VER - Good solid rack that holds 6 bikes in a reasonable small space. 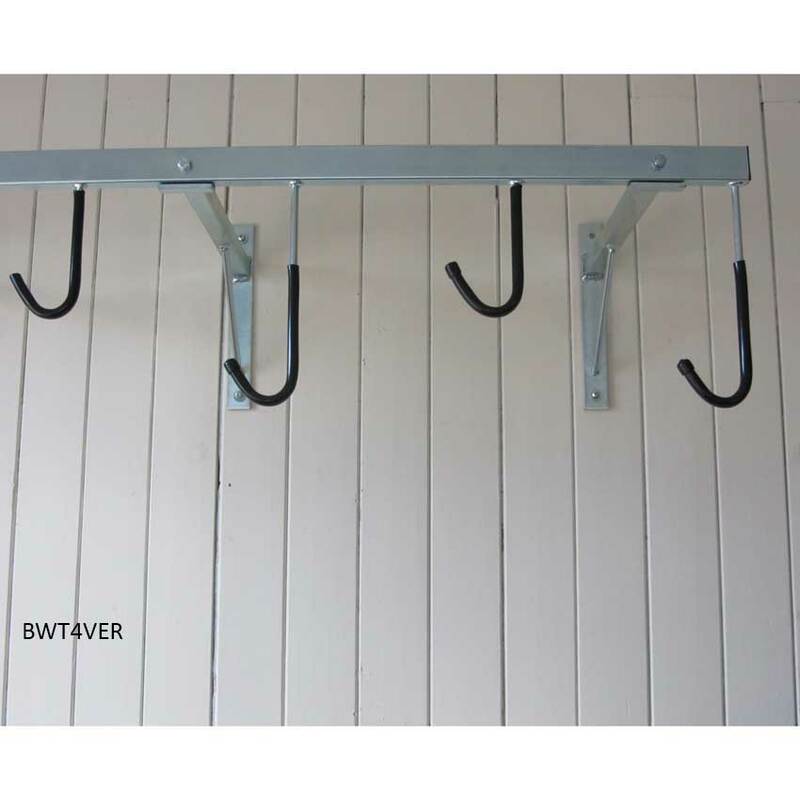 BWT5VER - It does what it says on the tin however, the metal bars the hooks are attached to is very rough/sharp and can easily cut your hand during installation. Rack has 4 screw holes yet was only supplied with 3 screws. Itâ€™s up and in use. Q. 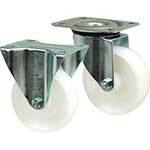 What's the maximum tyre width that will fit the hooks? Q. 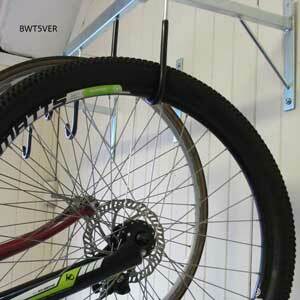 Do the bikes back wheels have to touch the floor or do the bikes hang freely from the hooks?